Hard to believe, but it’s almost time for ConcordTV’s 4th annual Easter Eggstravaganza! Last year’s event was bigger than ever, so nothing can stop us now. The three-day festival for family and friends takes place this Friday, Saturday and Sunday at the Bektash Shrine Center (home of the holiday “Feztival of Trees” each year) on Pembroke Road. 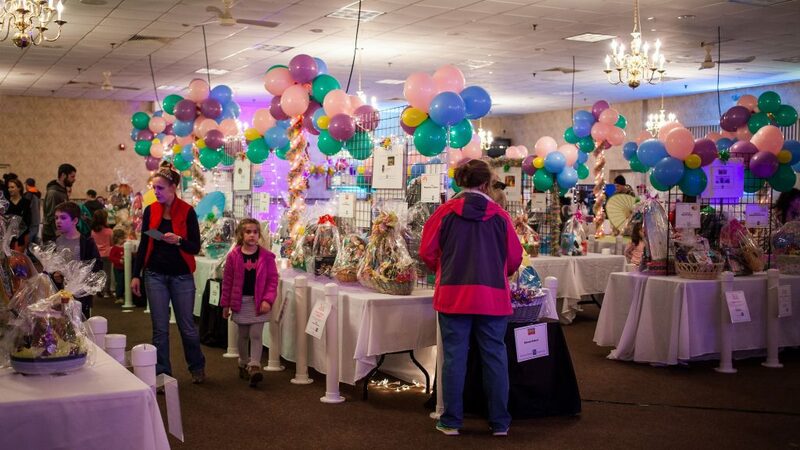 This year’s Eggstravaganza includes a spectacular feature raffle of more than 150 stunning Easter gift baskets donated by local businesses, nonprofit groups and generous individual donors. The colorful array of theme baskets you can win include baskets for girls, boys, teens, men, women, older folks – baskets for just about everybody! This year special mega-raffles include a basket of $500 worth of scratch tickets and a basket redeemable for a $500 cash prize. 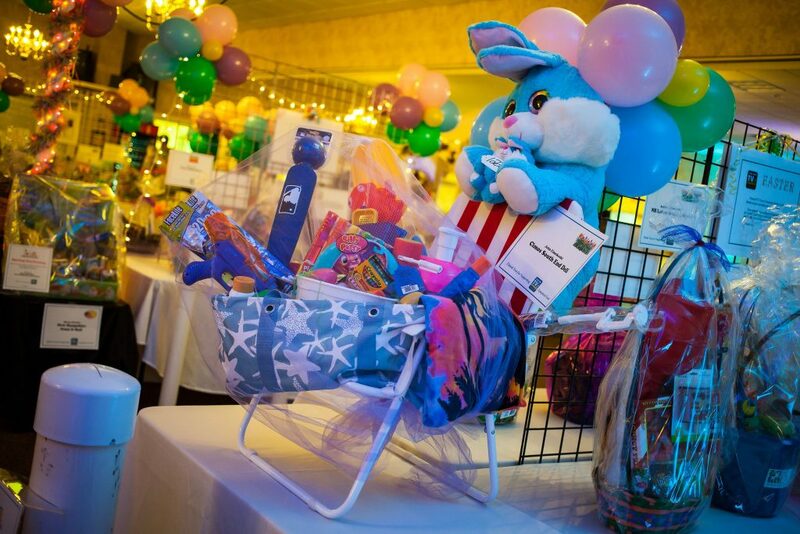 Beyond baskets, Easter Eggstravaganza will feature a silent auction with valuable gift certificates, gift packages and collectables. More than 50 restaurants, theaters and local attractions have contributed to the auction. Friday: Miles & Jackie at 5 p.m.
Saturday: Rick Adair at 11 a.m., Grammy-nominated Judy Pancoast & The Judy Crew at 1 p.m. 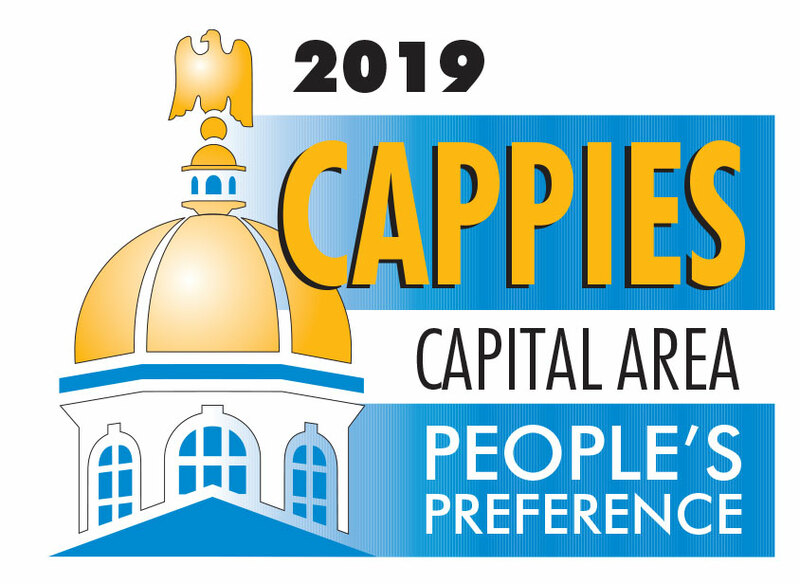 In addition to music, be sure to stop by the five activity tables, where Intown Concord, Concord Public Library and other civic and nonprofit groups will be hosting fun, games and crafts with giveaways for kids. Thanks to Walker Lectures, ConcordTV will be giving away three scholarships to one week of summertime Youth Video Camp (for kids ages 9 to 14). Parker Education is the exclusive business sponsor of ConcordTV Youth Video Camp. Stop by ConcordTV table for details. Live characters have been known to pop up at almost any time during the Easter Eggstravaganza, so have your cameras ready and the little ones set to “smile!” (Keep your eyes open for a special appearance by Barbie, among other character friends.) 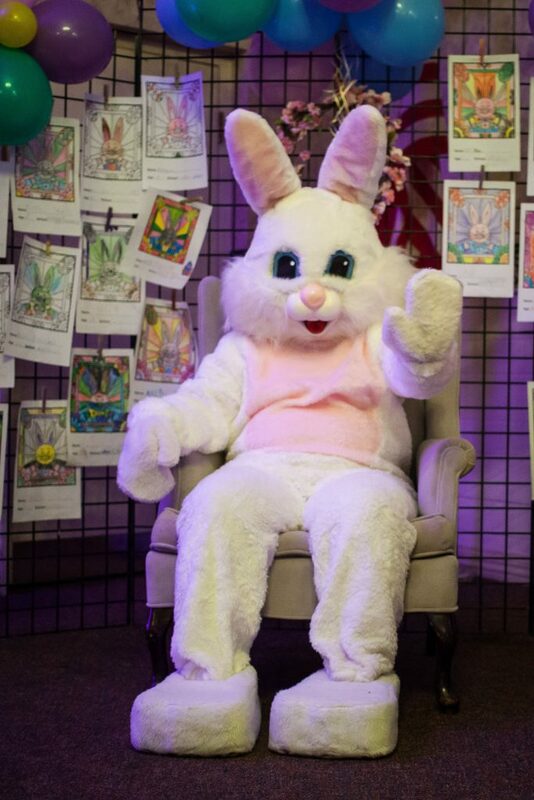 The star of the day, is, of course, the king of warm-and-fuzzy himself, The Easter Bunny, who’s waiting to pose with little ones of all ages and make a memory of your day at Easter Eggstravaganza you’ll be glad to share. Be sure to put this special community event on your calendar now and don’t miss ConcordTV’s three-day festival. The hours are 3 to 8 p.m. Friday, 9 a.m. to 8 p.m. Saturday and 10 a.m. to 5 p.m. Sunday. (Basket winners can be present on Sunday at 5 p.m. to win, or they will be contacted immediately by phone, but must pick up the call to win.) Bektash Shrine Center is located at 189 Pembroke Road near Route 106 and Steeplegate Mall. The Shrine Center offers limited off-street accessible parking and the venue is accessible. Go to concordeaster.org for additional event information and the Easter Eggstravaganza coloring contest. If you’d like to donate an Easter Basket to ConcordTV’s Easter Eggstravaganza, please call 226-8872. 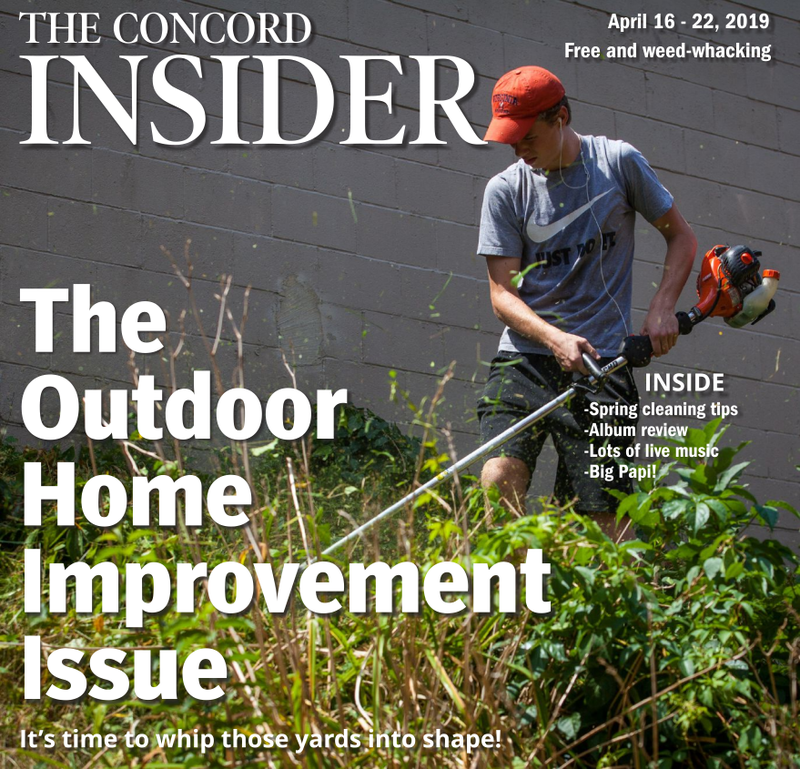 Concord Community TV is a nonprofit 501(c)(3) organization.